Dr Carlos Garcia says cancer treatment with chemotherapy has a 97% failure rate: Three Per Cent Efficacy Of CHEMO On Cancer by Carlos Garcia MD. 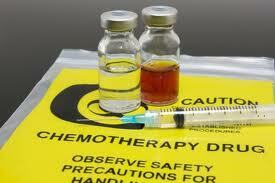 The obvious flaw in cancer chemotherapy treatment is the non-specificity. In other words, cancer chemotherapy kills cancer cells as well as normal cells. This unwanted toxicity to normal cells accounts for the adverse side effects of chemotherapy, namely nausea, vomiting, loss of appetite, weight loss, bone marrow suppression with anemia, hair loss etc. The optimal cancer treatment is one that kills cancer cells while leaving normal cells unharmed. Dr Seyfried’s article, “Cancer as a metabolic disease ” points the way to this goal. 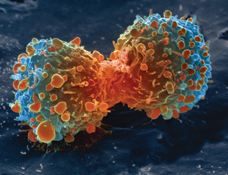 (1) Dr. Seyfried says: “cancer is primarily a metabolic disease involving disturbances in energy production through respiration and fermentation.“(1) Electron microscope studies have shown abnormalities in the mitochondria of cancer cells. (2) The cancer cell’s mitochondria have undergone “metabolic reprogramming”, thereby providing a key which can be exploited to devise a more selective cancer treatment. 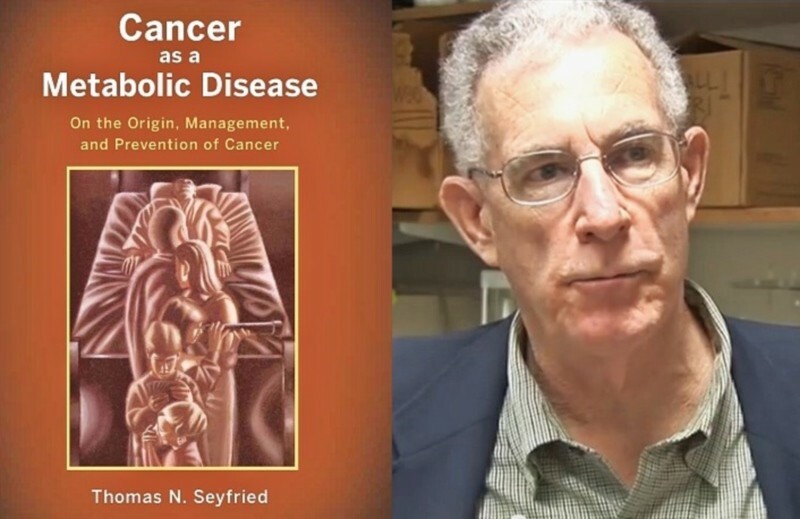 (3,4) Above left image, Cover of book Cancer as a Metabolic Disease by Dr Thomas Seyfried courtesy of the Examiner. Above image: Dr. Young Ko and Dr. Peter Pedersen with Dr. Humaira Khan, Medicor CEO (left) and Dr. Akbar Khan Medicor Medical Director (right) at the Medicor Office in Toronto, December 2008. Courtesy of Medicor. Thankfully, there are many other compounds in the natural world that act on this same mechanism of selectively inducing apoptosis in cancer cells while sparing normal cells. Many of these have already been commercialized and are available at the health food store.Left Image VDAC courtesy of NIH. 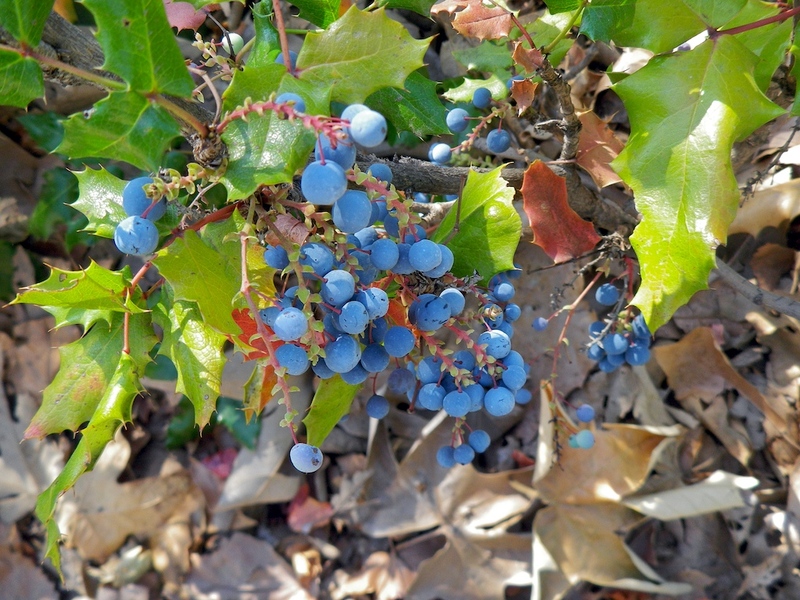 Resveratrol from grapes and its derivative Pterostilbene have been extensively studied and demonstrate striking anticancer activity. Studies show that Pterostilbene induces apoptosis via the mitochondrial pathway in breast cancer cell lines. See the article by Moon. Another article by Pei-Ching Hsiao. His study used acute myeloid leukemia cells, finding pterostilbene induced apoptosis in cancer cells vIa mitochondrial pathways, (with activation of caspase system). Another study by Alosi on Pterostilbene in Breast Cancer also showed similar findings with apoptosis induced by mitochondrial pathways. Another more recent study by Wang in 2012 showed Pterostilbene induces apoptosis and cell cycle arrest in breast cancer cells. See my previous article on this. Abov image : electron microscope image of normal mitochondria courtesy of NIH. Curcumin was studied by Dr Wang in an animal model of colorectal cancer showing Curcumin inhibits aerobic glycolysis and induces mitochondrial-mediated apoptosis through hexokinase II in human colorectal cancer cells in vitro. (13)(31) Curcumin is available at the health food store. Vitamin K has been available for many years with heath benefits in blood coagulation, bone density, and prevention of soft tissue calcification. See my previous article on Vitamin K. Another surprising benefit of Vitamin K is cancer prevention. A number of cell culture and animal xenograft studies shows that vitamin K2 induces apoptosis, programmed cell death, in cancer cells. (18-26) There were a number of different cancers studied including Glioblastoma, Hepatocellular Cancer, Lung Cancer, Prostate Cancer, etc. (18-26) Based on these reports, one might suggest adding Vitamin K to a supplement program for anyone seeking to prevent cancer, or cancer recurrence after treatment. Seyfried TN1, Flores RE, Poff AM, D’Agostino DP. 1Biology Department, Boston College, Chestnut Hill, MA 02467, USA and. Emerging evidence indicates that cancer is primarily a metabolic disease involving disturbances in energy production through respiration and fermentation. The genomic instability observed in tumor cells and all other recognized hallmarks of cancer are considered downstream epiphenomena of the initial disturbance of cellular energy metabolism. The disturbances in tumor cell energy metabolism can be linked to abnormalities in the structure and function of the mitochondria. Cancer growth and progression can be managed following a whole body transition from fermentable metabolites, primarily glucose and glutamine, to respiratory metabolites, primarily ketone bodies. Int J Biochem Cell Biol. 2009 Oct;41(10):2062-8. Electron microscopy morphology of the mitochondrial network in human cancer. Mitochondria have been implicated in the process of carcinogenesis, which includes alterations of cellular metabolism and cell death pathways. The aim of this review is to describe and analyze the electron microscopy morphology of the mitochondrial network in human cancer. The structural mitochondrial alterations in human tumors are heterogeneous and not specific for any neoplasm. These findings could be representing an altered structural and functional mitochondrial network. The mitochondria in cancer cells, independently of histogenesis, predominantly are seen with lucent-swelling matrix associated with disarrangement and distortion of cristae and partial or total cristolysis and with condensed configuration in minor scale. Mitochondrial changes are associated with mitochondrial-DNA mutations, tumoral microenvironment conditions and mitochondrial fusion-fission disequilibrium. 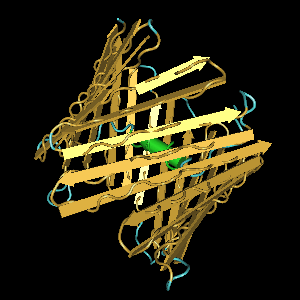 Functionally, the structural alterations suppose the presence of hypoxia-tolerant and hypoxia-sensitive cancer cells. Possibly, hypoxia-tolerant cells are related with mitochondrial condensed appearance and are competent to produce adequate amount of ATP by mitochondrial respiration. Hypoxia-sensitive cells are linked with lucent-swelling and cristolysis mitochondria profile and have an inefficient or null oxidative phosphorylation, which consequently use the glycolytic pathway to generate energy. Additionally, mitochondrial fragmentation is associated with apoptosis; however, alterations in the mitochondrial network are linked with the reduction in sensitivity to apoptosis induces and/or pro-apoptotic conditions. Pharmacological approaches designed to act on both glycolysis and oxidative phosphorylation can be considered as a new approach to selectively kill cancer cells. Cancer Cell. Mar 20, 2012; 21(3): 297–308. Semin Cancer Biol. Feb 2009; 19(1): 17–24. Biochim Biophys Acta. 2010 Jun–Jul; 1797(6-7): 1225–1230. Int J Cell Biol. 2014; 2014: 572097. Br J Pharmacol. 2014 Feb;171(3):618-35. doi: 10.1111/bph.12501. Methyl jasmonate sensitizes human bladder cancer cells to gambogic acid-induced apoptosis through down-regulation of EZH2 expression by miR-101. Wang Y1, Xiang W, Wang M, Huang T, Xiao X, Wang L, Tao D, Dong L, Zeng F, Jiang G.
Gambogic acid (GA) and methyl jasmonate (MJ) are increasingly being recognized as novel natural anticancer compounds. Here, we investigated the antitumour effects of GA in combination with MJ on human bladder cancer cells. EXPERIMENTAL APPROACH:Cell viability was detected by cell counting kit-8 assay. Cell apoptosis was assessed by Hoechst 33258 staining and flow cytometry. Protein levels were determined by immunoblotting and expressions of mRNA and miRNAs by RT-PCR. Differential expressions of a group of downstream genes were identified using microarray analysis. KEY RESULTS:MJ significantly sensitized bladder cancer cells to GA-induced growth inhibition and apoptosis while sparing normal fibroblasts. MJ enhanced GA-induced activation of caspase-3 and caspase-9, and down-regulated the expression of XIAP. Furthermore, treatment of bladder cancer cells with a combination of GA and MJ induced synergistic inhibition of the enhancer of zeste homologue 2 (EZH2) expression, whereas miR-101 expression was up-regulated. Conversely, knockdown of miR-101 restored this decreased expression of EZH2 and suppressed the inhibitory effect of GA and MJ on the growth of bladder cancer cells. Microarray analysis showed that genes closely associated with bladder cancer development were significantly down-regulated by GA and MJ. In a s.c. xenograft mouse model of human bladder carcinoma, the combination of GA and MJ exerted an increased antitumour effect compared with GA alone. CONCLUSION AND IMPLICATIONS:MJ sensitizes bladder cancer cells to GA-induced apoptosis by down-regulating the expression of EZH2 induced by miR-101. Thus, the combination of selective anti-cancer agents MJ and GA could provide a novel strategy for treating human bladder cancer. THIS PRODUCT, LIKE ALL PRODUCTS FROM PHYTOTECH LABS, IS FOR RESEARCH USE ONLY. WE CANNOT SELL TO CUSTOMERS WHO INTEND TO USE METHYL JASMONATE FOR HUMAN USE. This product cannot be shipped to residential addresses; only shipments to bona fide research institutions and companies will be accepted. Correspondence: Q-L Guo or N Lu, State Key Laboratory of Natural Medicines, Jiangsu Key Laboratory of Carcinogenesis and Intervention, Department of Physiology, China Pharmaceutical University, 24 Tongjiaxiang, Nanjing 210009, The People’s Republic of China. Oroxylin A is a major active component of the Chinese traditional medicinal plant Scutellaria baicalensis Georgi, which has been reported as a potential anticancer drug. We demonstrated that, Oroxylin A inhibited the glycolysis and the binding of hexokinase II (HK II) with mitochondria in human breast carcinoma cell lines, which was dependent on sirtuin-3 (SIRT3). The level of SIRT3 in mitochondria was increased by Oroxylin A. Then SIRT3 deacetylated cyclophilin D, diminished its peptidyl-prolyl cis-trans isomerase activity and induced its dissociation from the adenine nucleotide translocator. Finally, SIRT3-induced inactivation of cyclophilin D resulted in the detachment of mitochondrial HK II and the inhibition of glycolysis. These results have important implications for the metabolism reprogramming effect and the susceptibility to Oroxylin A-induced mitochondrial cytotoxicity through the regulation of SIRT3 in breast carcinoma. Qiao, Chen, et al. “UCP2‐related mitochondrial pathway participates in oroxylin A‐induced apoptosis in human colon cancer cells.” Journal of cellular physiology (2014). Oroxylin A is a flavonoid extracted from the root of Scutellaria baicalensis Georgi. Our previous research demonstrated that oroxylin A have various anti-tumor effects including apoptosis, cell cycle arrest, drug-resistant reversion and others. This paper explores the mechanism how oroxylin A induce apoptosis by regulating uncoupling protein 2 (UCP2) in human colon cancer cells. We found that the inhibition of UCP2 by UCP2 siRNA significantly increased the sensitivity of cells to drugs, reactive oxygen species (ROS) generation and the opening of mitochondrial permeability transition pore (MPTP) of CaCo-2 cells. We also found that UCP2 inhibition could lead to ROS-mediated MPTP activation. Furthermore, we demonstrated that oroxylin A triggered MPTP-dependent pro-apoptotic protein release from mitochondria to matrix and then induced apoptotic cascade by inhibiting UCP2. Intriguingly, the inhibition of UCP2 by oroxylin A was able to block Bcl-2 translocation to the mitochondria, keeping MPTP at open-state. In conclusion, we have demonstrate that UCP2 play a key role in mitochondrial apoptotic pathway; UCP2’s inhibition by oroxylin A triggers the MPTP opening, and promotes the apoptosis in CaCo-2 cells. Anticancer Drugs. 2014 Sep 16. [Epub ahead of print]Curcumin inhibits aerobic glycolysis and induces mitochondrial-mediated apoptosis through hexokinase II in human colorectal cancer cells in vitro. Wang K1, Fan H, Chen Q, Ma G, Zhu M, Zhang X, Zhang Y, Yu J. 1aJiangsu Institute of Cancer Research bJiangsu Research Institute of Geriatrics, Nanjing, China. Curcumin, the major pigment of the dietary spice turmeric, has the potential for chemoprevention by promotion of apoptosis. Here, we investigated the molecular mechanisms of curcumin in glycolytic inhibition and apoptotic induction in human colorectal cancer HCT116 and HT29 cells. On the one hand, curcumin downregulated the expression and activity of hexokinase II (HKII) in HCT116 and HT29 cells in a concentration-dependent manner, but had little effect on the other key glycolytic enzymes (PFK, PGM, and LDH). On the other, curcumin induced dissociation of HKII from the mitochondria, resulting in mitochondrial-mediated apoptosis. Furthermore, the phosphorylation of mitochondrial HKII through AKT was responsible for the curcumin-induced dissociation of HKII, which was different from the mechanism of HKII inhibitor 3-BrPA. These results have important implications for the metabolism reprogramming effect and the susceptibility to curcumin-induced mitochondrial cytotoxicity through the regulation of HKII, and provide a molecular basis for the development of naturally compounds as novel anticancer agents for colorectal carcinoma. Modulation of apoptosis by natural products for cancer therapy. Fulda S1. Children’s Hospital, Ulm University, Ulm, Germany. Fulda, Simone, Lorenzo Galluzzi, and Guido Kroemer. “Targeting mitochondria for cancer therapy.” Nature reviews Drug discovery 9.6 (2010): 447-464. Mitochondria are the cells’ powerhouse, but also their suicidal weapon store. Dozens of lethal signal transduction pathways converge on mitochondria to cause the permeabilization of the mitochondrial outer membrane, leading to the cytosolic release of pro-apoptotic proteins and to the impairment of the bioenergetic functions of mitochondria. The mitochondrial metabolism of cancer cells is deregulated owing to the use of glycolytic intermediates, which are normally destined for oxidative phosphorylation, in anabolic reactions. Activation of the cell death machinery in cancer cells by inhibiting tumour-specific alterations of the mitochondrial metabolism or by stimulating mitochondrial membrane permeabilization could therefore be promising therapeutic approaches. 16) Mitochondrial_inhibitors_cancer_therapy_Pharmaceutical_Ramsay_2011 Ramsay, Emma E., Philip J. Hogg, and Pierre J. Dilda. “Mitochondrial metabolism inhibitors for cancer therapy.” Pharmaceutical research 28.11 (2011): 2731-2744. 17) Mitochondrial_permeability_target_anticancer_Dalla_2014 Dalla Via, Lisa, et al. “Mitochondrial permeability transition as target of anticancer drugs.” Current pharmaceutical design 20.2 (2014): 223-244. The effect of menatetrenone, a vitamin K2 analog, on disease recurrence and survival in patients with hepatocellular carcinoma after curative treatment: a pilot study. Mizuta T1, Ozaki I, Eguchi Y, Yasutake T, Kawazoe S, Fujimoto K, Yamamoto K. 1Department of Internal Medicine, Saga Medical School, Japan. PLoS One. 2013;8(3) Postoperative use of the chemopreventive vitamin K2 analog in patients with hepatocellular carcinoma. Zhong JH1, Mo XS, Xiang BD, Yuan WP, Jiang JF, Xie GS, Li LQ. 1Hepatobiliary Surgery Department, Tumor Hospital of Guangxi Medical University, Nanning, People’s Republic of China. Comparison of vitamins K1, K2 and K3 effects on growth of rat glioma and human glioblastoma multiforme cells in vitro. Oztopçu P1, Kabadere S, Mercangoz A, Uyar R. 1Osmangazi University Art and Sciences Faculty Department of Biology, Eskişehir, Türkiye. Growth inhibitory effects of vitamin K2 on colon cancer cell lines via different types of cell death including autophagy and apoptosis. Kawakita H1, Tsuchida A, Miyazawa K, Naito M, Shigoka M, Kyo B, Enomoto M, Wada T, Katsumata K, Ohyashiki K, Itoh M, Tomoda A, Aoki T. 1Third Department of Surgery, Tokyo Medical University, Tokyo, Japan. Vitamins K2, K3 and K5 exert antitumor effects on established colorectal cancer in mice by inducing apoptotic death of tumor cells. Ogawa M1, Nakai S, Deguchi A, Nonomura T, Masaki T, Uchida N, Yoshiji H, Kuriyama S.
Xian, Shu-Lin, et al. 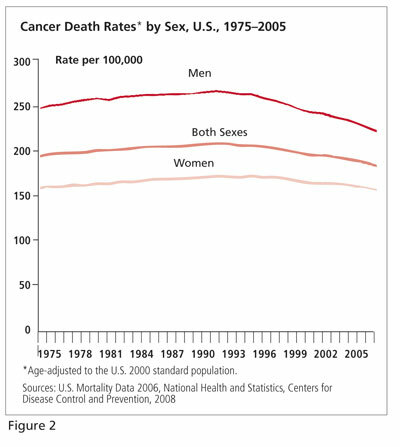 “.” Asian Pacific journal of cancer prevention: APJCP 15.7 (2014): 3175. 28) Chen, Zhao, et al. “Role of mitochondria-associated hexokinase II in cancer cell death induced by 3-bromopyruvate.” Biochimica et Biophysica Acta (BBA)-Bioenergetics 1787.5 (2009): 553-560. 30) Methyl Jasmonate: A New Treatment for B-CLL?. Alain Berrebi, MD1, Lucette Bassous1,*, Rinat Borenshtain, PhD2,* and Eliezer Flescher, PhD3,* 1 Hematology, Kaplan Medical Center, Rehovot, Israel; 2 Sepal Pharma, Nes Ziona, Israel and 3 Immunology, Tel Aviv University, Tel Aviv, Israel. Aggarwal, Bharat, et al. “Prevention and treatment of colorectal cancer by natural agents from Mother Nature.” Current colorectal cancer reports 9.1 (2013): 37-56. Guamán Ortiz, Luis Miguel, et al. “Berberine, an Epiphany Against Cancer.” Molecules 19.8 (2014): 12349-12367. 36) http://neuro-oncology.oxfordjournals.org/content/early/2011/07/14/neuonc.nor077.full Bai, Ren-Yuan, et al. “Antiparasitic mebendazole shows survival benefit in 2 preclinical models of glioblastoma multiforme.” Neuro-oncology (2011): nor077. 37)Mebendazole metastatic adrenocortical carcinoma Dobrosotskaya Endocrine practice 2011 Dobrosotskaya, I. Y., et al. “Mebendazole monotherapy and long-term disease control in metastatic adrenocortical carcinoma.” Endocrine practice: official journal of the American College of Endocrinology and the American Association of Clinical Endocrinologists 17.3 (2011): e59. 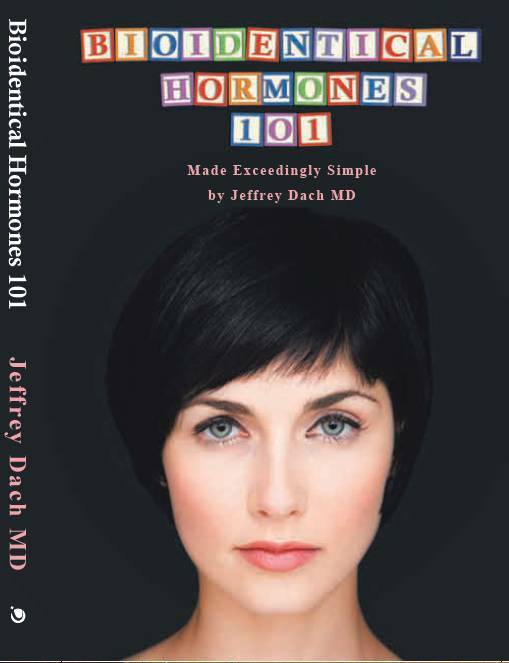 The post Cancer as a Metabolic Disease by Jeffrey Dach MD appeared first on Jeffrey Dach MD .